Experts believe that when someone’s environment is constantly sterile, it undermines their immune system. Thumb sucking is considered a juvenile and immature act, while nail biting is considered unbecoming and unsightly. Parents try—and often fail—to wean their children off of these acts, but new studies suggest that they may not be so bad after all. Researchers have found that in young children, thumb sucking and nail biting may protect them against allergies. Published last Monday in Paediatrics, the study compared children who possessed both habits to other children who didn’t; those who sucked their thumbs and bit their nails were far less likely to develop sensitivities to common allergens. In a Today article, it said that the findings highlight the “hygiene hypothesis,” which suggests that the rates of allergic diseases in kids may be related to our obsession with providing a germ-free environment. Following 1,037 children born in 1972-1973 for more than three decades, the study performed skin prick tests to its subjects when they were 13-years-old, and again when they were 32. 38 percent of the 13-year-olds who bit their nails or sucked their thumbs showed sensitivity to allergens, while 49 percent of those who displayed neither habit exhibited sensitivity. Meanwhile, only 31 percent of those who displayed both habit showed sensitivity. 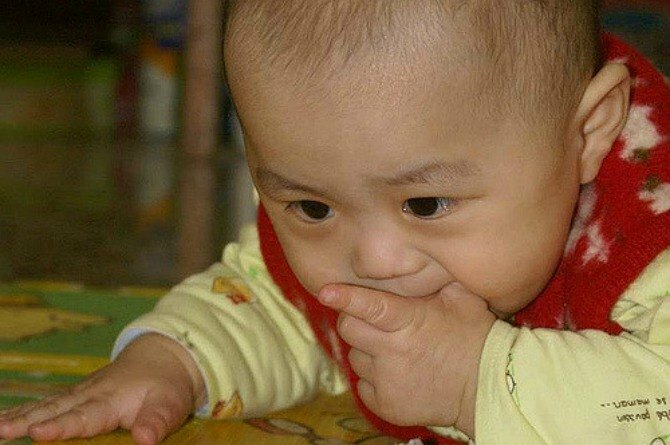 The research, however, did not find a connection between nail biting and sucking thumbs and the likelihood of a child developing hay fever or asthma. Meanwhile, the study’s coauthor, Dr. Bob Hancox, associate professor of preventive and social medicine at the Dunedin School of Medicine in New Zealand, says that parents should not encourage their children to develop the habits if they’re not doing it. Instead, a better strategy is to introduce “pets—cats and dogs—which also appear to protect against [allergies]," says Dr. Hancox says. "Whether this is regarded as a positive behavior depends on family circumstances."